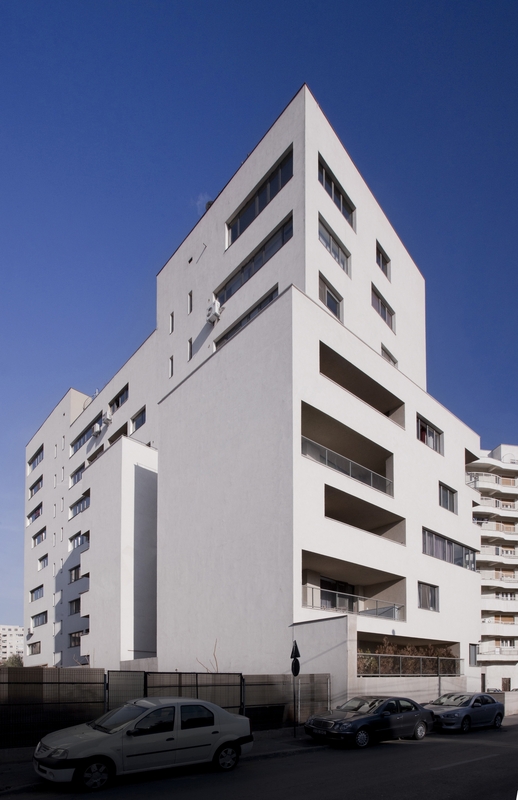 The building is a result of the negotiation between the old urban fabric and the curtain formed by the communist era apartment blocks. The various types of openings like windows, loggias and terraces have the role of making the facade more efficient in micro climatic terms. 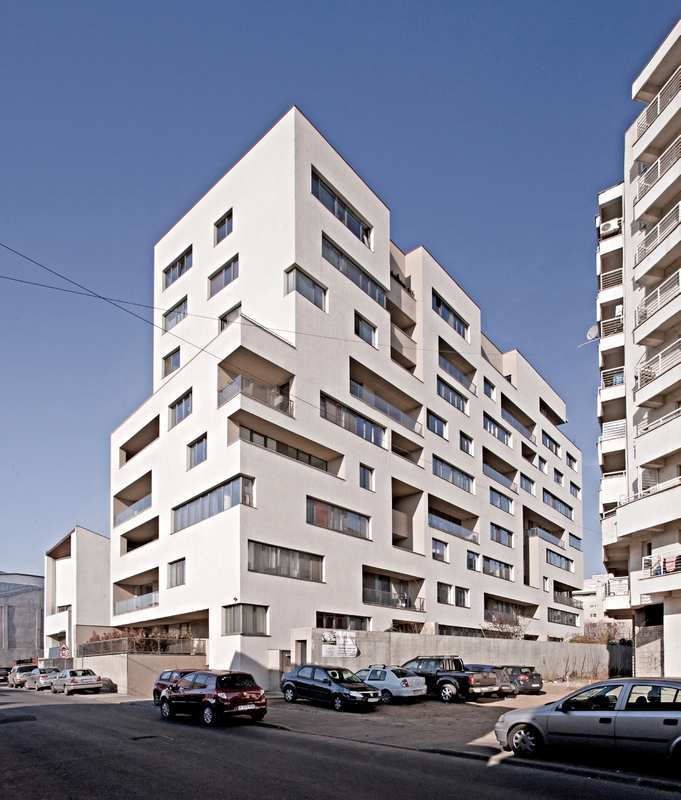 Each apartment has a double or triple orientation, receiving natural light throughout the entire day and having good ventilation.The building is created by a Tetris game of 34 apartments, each one with a different layout and a different relation with the exterior spaces. The built volume makes a smooth transition between the different scales of the context.